Skilled night photographers can leave any shoot knowing they captured the scene in perfect focus and low noise, but beginning photographers often leave night shoots frustrated. After teaching dozens of photographers how to shoot at night, the author compiled this book to explain the most important tips for night photographers. 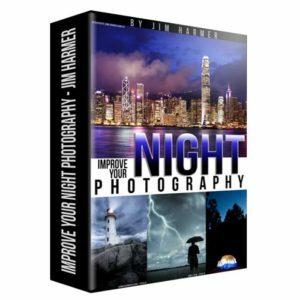 This book is targeted to intermediate and advanced amateur photographers who are just beginning to learn night photography. Topics discussed in this book include: how to achieve low noise, how to shoot stars and star trails, shooting HDR images at night, practical tips for focusing the camera in the dark, how to shoot fireworks, and dozens of quick tips to improve your images. You can buy this eBook to read on your computer by using the shopping cart below, or you can buy the book in various eBook stores for your Kindle/Nook/iPad/Nook, etc. Here's a link to the book in the Kindle Store. Here's a link to the book in the Nook Store. If you have an iPad/iPhone/iTouch, you can search the name of the book from within the iBooks application.